Piano Trio, Luminus has been a fixture on stages and in classrooms in the Dakotas and beyond since it’s formation in 2004. Founding members Jon Rumney, violin; Erik Anderson, cello; and Dianna Anderson, piano are deeply committed to chamber music education, and have performed hundreds of outreach concerts for regional schools, and given numerous master-classes and presentations with the emerging young chamber musician in mind. 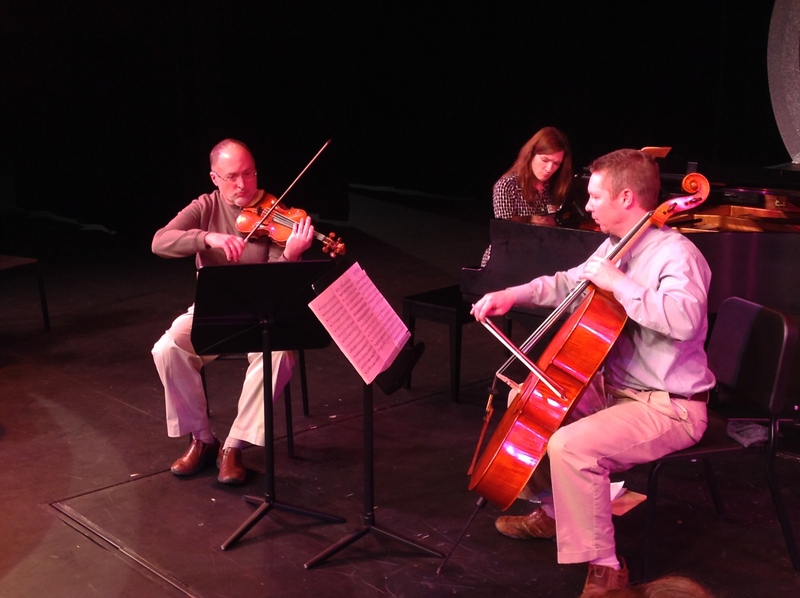 Through their residency at Dakota Chamber Music, a weeklong chamber music institute on the campus of Minot State University, they have guided hundreds of students through many of the great chamber works with their characteristic spirit of experimentation, coupled with in-depth analysis. Their repertoire ranges from the great masterpieces of the Classical Period, to music recently written for the trio. The 2015-2016 season will see them on stages throughout the Dakotas, and feature the world premiere of Evolution 3 by composer Sean Neukom.